Frantz Fanon is one of the most important figures in the history of what is now known as postcolonial studies – the field that examines the meaning and impacts of European colonialism across the world. Born in the French colony of Martinique, Fanon worked as a psychiatrist in Algeria, another French colony that saw brutal violence during its revolution against French rule. His experiences power the searing indictment of colonialism that is his final book, 1961’s The Wretched of the Earth. Fanon’s account of the physical and psychological violence of colonialism forms the basis of a passionate, closely reasoned call to arms – a call for violent revolution. Incendiary even today, it was more so in its time; the book first being published during the brutal conflict caused by the Algerian Revolution. Viewed as a profoundly dangerous work by the colonial powers of the world, Fanon’s book helped to inspire liberation struggles across the globe. 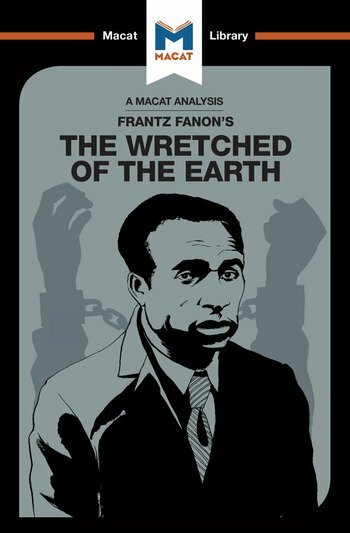 Though it has flaws, The Wretched of the Earth is above all a testament to the power of passionately sustained and closely reasoned argument: Fanon’s presentation of his evidence combines with his passion to produce an argument that it is almost impossible not to be swayed by.